Ford recently promised free and fast repairs to customers driving with potentially explosive airbags. But are dealerships following through? Even by the standards of the Takata airbag scandal, or the criminal case and recall currently affecting 60 million cars in the United States alone, the warning that some Ford customers received last week was particularly dire. Nearly 3,000 Ford Rangers on the road pose “an immediate risk to safety,” the National Highway Traffic Safety Administration announced on January 11. Ford added on its own website that owners of “specific 2006 Ford Rangers” shouldn’t even drive to the dealership due to potentially explosive airbags. 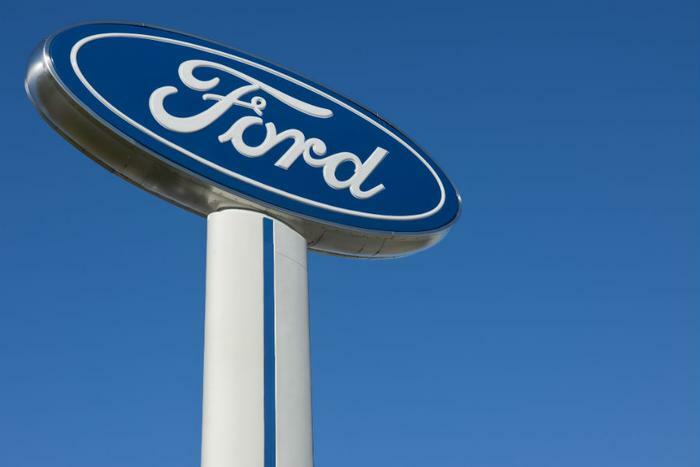 “Parts are available now, and dealers are prepared to get vehicles directly from customers, make permanent repairs that will resolve the safety risk and provide a free interim loaner vehicle, if necessary,” Ford writes online. It’s a comforting message, but one that may not be completely true. Some dealerships are saying that they don’t yet have the parts to replace airbags in the 2006 Ford Ranger, let alone a loaner vehicle for affected customers to drive while they wait. "Ford is only giving loaners out for two days, when parts start becoming available," said a worker at a dealership in Missouri, adding that the parts weren’t expected to arrive until the end of the month. Told of this, Ford Motor Company spokesman Elizabeth Weigandt tells ConsumerAffairs that she doesn't know why a dealership would say that. “I have no idea,” she says. "Under Recall 18S02,” or the recall asking 3,000 owners of the 2006 Ranger to stop driving immediately, “if we cannot repair your vehicle right away, we will provide you a loaner, if necessary. We want our customers to stop driving those cars." But an employee at a dealership in Detroit, a city approximately ten miles from Ford’s corporate headquarters in Dearborn, Michigan, did not seem to know anything about Recall 18S02 or it's urgent message. “We won't be getting parts in, probably until late March or early April,” an employee said, when asked about the 2006 Ranger and Recall 18S02 specifically. As for loaner vehicles, “it’s approved for a two-day rental,” and not any longer. A dealership in National City, California said they did have the parts to replace the defective airbags--but no loaner vehicles. This dealership estimated that the repair would take one to two days. Posing as an owner of an unidentified 2006 Ford Ranger, ConsumerAffairs contacted the three Ford dealerships after Ranger owners voiced complaints online claiming that Ford’s private response to customers wasn’t matching its public promises. “I don’t usually pay attention to car recalls until they say that when the airbag goes off it hurls shrapnel through your body and the car affected is a 2006 Ford Ranger and then I’m all like HEY THAT’S THE KIND OF CAR I DRIVE!” customer Ken Lanning wrote in a post on Twitter. Part of the confusion may stem from the fact that only a small percentage of the 2006 Ford Rangers recalled for potentially explosive airbags are subject to this particular warning to stop driving immediately. "That is a safety problem with all of those [airbag] inflators, however, these particular inflators, built on a specific day by Takata, they have an even higher risk,” Ford’s Weigandt tells ConsumerAffairs. Regardless, she adds that all 2006 Ford Ranger owners should be able to have their airbags replaced because parts are available at dealerships. Those customers specifically affected by 18S02 just have the added benefit of a free rental car. Or they’re supposed to, anyway. Jason Ruiter is making the commute on icy roads from his home in Livonia, Michigan to work in Ann Arbor in a 2006 Ford Ranger that isn’t scheduled to be repaired until January 26. When he made an appointment for the repair last week, he says his dealer told him that they could not “authorize” a loaner vehicle. After getting the runaround from his dealer, Ruiter contacted a corporate customer service representative through the Ford Motor Company website. Their correspondence, which Ruiter saved and showed ConsumerAffairs, provides even less clarity. The following day, on Wednesday morning, a second Ford representative contacted Ruiter, this time with an email saying that he had been given incorrect information about which recall his truck falls under. A potential factor affecting service may be the size and scale of the Takata recall and the corporation’s near-monopoly on the airbag market. Over 125 million cars worldwide, comprising dozens of makes and models, have been recalled due to potentially explosive airbags produced by the now-bankrupt Takata corporation, causing a major repair backlog at some dealerships. Officials have attributed 21 deaths to the explosive airbags, the most recent one occurring in a 2006 Ford Ranger. It was the second time that a Takata airbag killed a driver in that make and model of vehicle, a finding that spurred the warning from NHTSA and Ford to prioritize it for repairs last week. Throughout the recall, older Honda vehicles have typically been prioritized for repairs because officials say they are particularly prone to the deadly defect. In a follow-up statement to ConsumerAffairs, Ford disputes the message that we received from dealerships. "Ford has not advised dealers of a two-day limit on loaners, only that loaners are pre-approved for that period as a starter," spokesperson Weigandt says via email. As for the Detroit dealership that said parts wouldn't arrive until March or April, Weigandt responds that "Ford is making parts for 18S02 available immediately." "The statement regarding a two day repair is not factually correct," she adds. "Ford estimates this repair could take less than an hour."